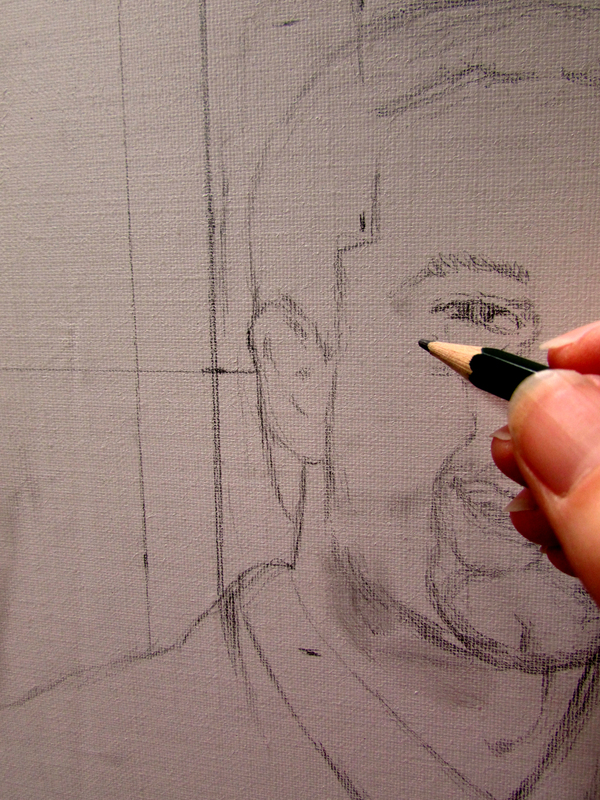 As a rule I start a painting by doing a detailed drawing. Drawing is a foundational skill to all kinds of art. If we are musically inclined, taking piano lessons certainly helps us develop a broad base of musical understanding which helps when we pick up other instruments to play. Similarly, developing the skill and discipline of drawing helps in a wide variety of artistic endeavor. I often start a painting with a detailed drawing. I fight back the urge to start with the paint brush. I’ve learned over the years that one can solve some complicated visual problems by using some patience and working out issues from the beginning. There are many complexities that come to bear in the process of making an image “come to life.” Making a picture convincing depends on several factors that are worked out in drawing. There is perspective, scale, direction of light hitting the object(s), and composition to name a few. We can save a lot of trouble later on by using some discipline and working things through with drawing. The time to problem solve is at the beginning and it saves a lot of grief later on…this I know from experience. The artist’s life is full of spiritual parallels. This one is pretty obvious. In choices and especially relationships, best to work things through from the beginning. We can spare ourselves a lot of heart ache later on by dealing with the issues as they come instead of putting them off…this too, I have learned from experience.